Save the Yasuní-Initiative to protect Ecuador's Yasuní National Park and prevent the drilling of oil in this area! This petition has been created by Norbert and may not represent the views of the Avaaz community. The Yasuní National Park is located on the eastern edge of Ecuador, encompasses a section of Ecuador's Amazon Rainforest, is recognized as one of the most bio diverse regions in the world and is home of several indigenous Amazonian tribes. The Ishpingo-Tambococha-Tiputini oil field (ITT) in the area contains approximately 846 million barrels of oil, which are about 20% of the country's proven oil reserves. The exploitation of this oil field would emit over 410 million metric tons of CO2 into the atmosphere. 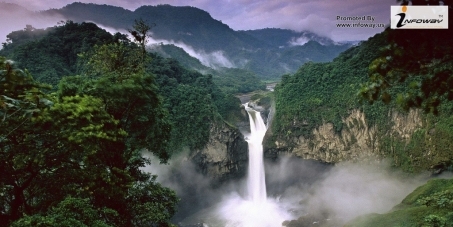 To prevent the environmental destruction and deforestation of the area, the Yasuní-ITT Initiative was launched by Ecuador's president Rafael Correaon in 2007 at the U.N. General Assembly. The government of Ecuador proposed a permanent ban on oil production inside the Ishpingo-Tambococha-Tiputini oil field in exchange for 50% of the value of the reserves, just $3.6 billion over 13 years to be raised from public and private contributions from the international community. The Yasuní-ITT Trust Fund was officially launched on 3rd August 2010. It is administered by the Multi-Partner Trust Fund Office (MPTF Office) of the United Nations Development Programme (UNDP). The proposal received positive reception by several governments, organizations and global citizens like the Secretary-General of the United Nations Ban Ki-moon and the actors Leonardo DiCaprio and Edward Norton. Also over 85% of Ecuador's population wants the Yasuní National Park to be protected. On August 15, 2013 President Rafael Correa withdrew the Yasuní-ITT Initiative and declared the campaign as failed. Since the official launch in 2010 the Multi-Partner Trust Fund Office only received $13 million from governments who agreed to support the initiative. Many local and international environmentalists expressed their disappointment and plenty of people gathered in front of the presidential palace in Quito, Ecuador's capital city to protest against the president’s decision. Act now and let us save the Yasuní-Initiative! It is a unique and unprecedented opportunity between developed and developing countries to consider an equitable paradigm of sustainable development.